We can’t take credit for coining these phrases but we sure agree with them! The popularity and sales of Rosé wines has exploded in the past several years. Rosé sales in the US grew by 53% in 2017 over the previous year, according to Nielsen.com. In response to this trend, as well as the encouragement of many Huston Vineyards fans, we released our first vintage last year: a crisp Rosé of Grenache. It won a gold medal at the Great Northwest Wine Invitational and another gold at the Cascadia wine competition. 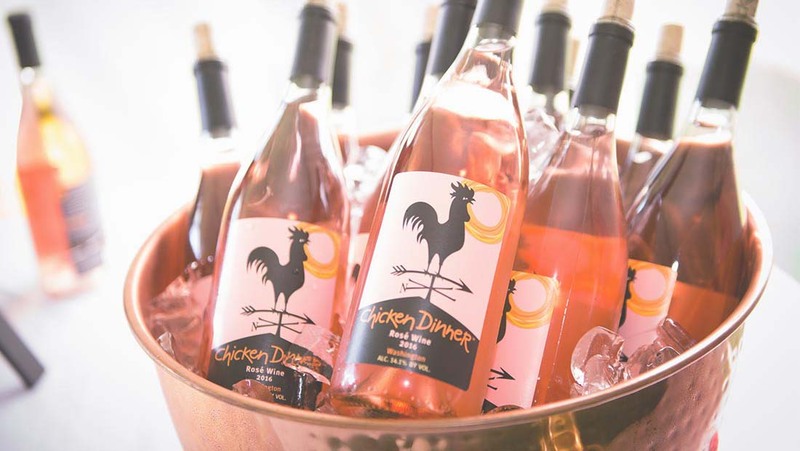 This month, we are excited to release our second vintage, the 2017 Chicken Dinner Rosé. This time around it’s a Rosé of Mourvedre. While Rosé can be achieved in a few different ways, we use skin contact or maceration. For this recent vintage we allowed 22 hours of contact with the skins in the must (freshly pressed juices with seeds and stems) to achieve a coral-colored Rosé. It presents aromas of kiwi and grapefruit, with a rich strawberry flavor. Medium body and a lively, crisp finish will make it a winner with many summer meals on the patio. In terms of popularity, the visual aspect of Rosé wines can’t be ignored. In short…it’s pretty! 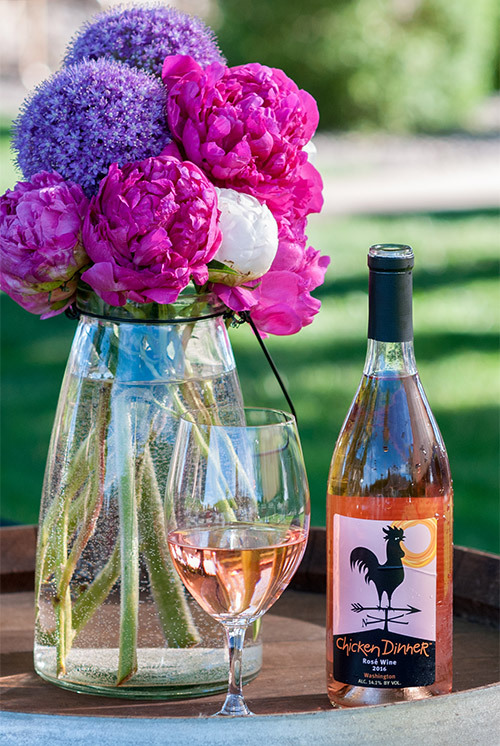 We are pretty partial to our pretty in pink label for Chicken Dinner Rosé. There are even entire Instagram sites, like @YesWayRose and even events like Pinknic in New York City for those who are living their lives through Rosé colored glasses. Once people realize that the new Rosés are not the sweet, pink stuff that used to be in their parent’s refrigerator, they are hooked. Our Rosé, like many on the market today, is dry and crisp, but with a fruitiness that makes it approachable. 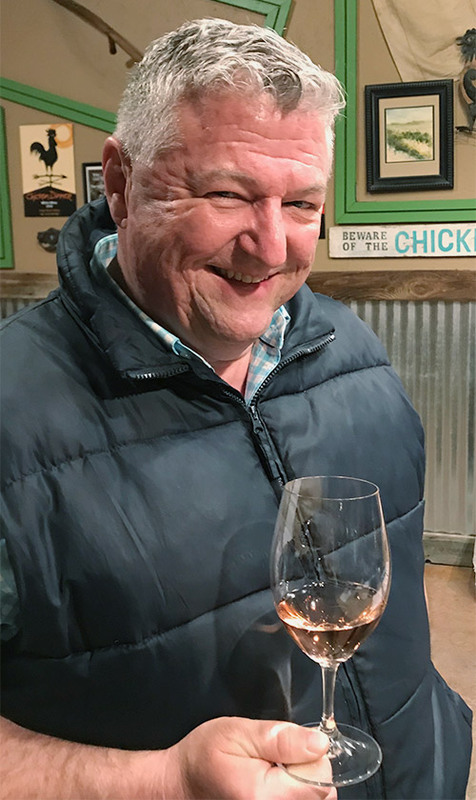 Millennials and women are responsible for the dramatic rise in sales over the past few years but here at Huston Vineyards, we know that “Real Men Drink Pink” too!